Spinning out of Man of Steel, Brian Michael Bendis and Ivan Reis begin a new era of Superman with “The Unity Saga.” Is it good? 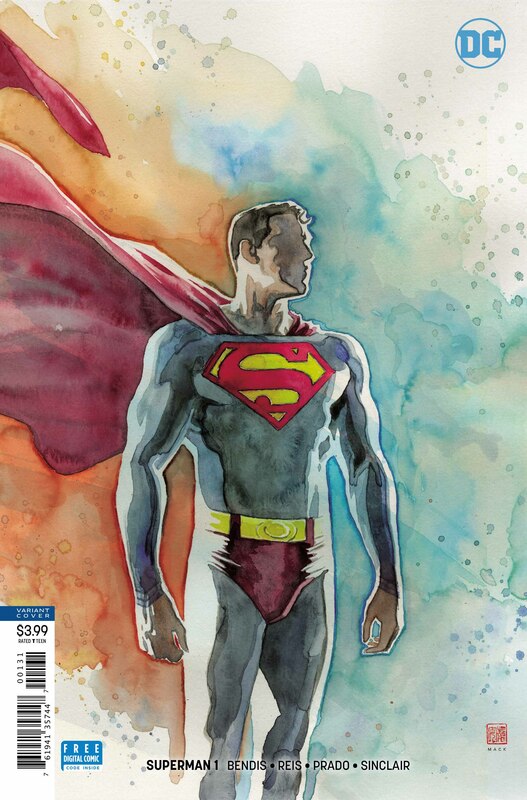 [Editors Note] Read our interview with Brian Michael Bendis on all things Superman. While writer Brian Michael Bendis’s take on Superman began in the Man of Steel miniseries, Superman #1 strikes a nice balance between continuing where that title left off and giving readers a chance to jump on. The issue opens with a concise summary of that mini-series (the font used by letterer Josh Reed sells the idea of this as a journal of sorts for Clark). The story here is easy to follow: Rogol Zaar destroyed Superman’s Fortress of Solitude, while Jon and Lois have traveled to the far reaches of the galaxy with Jor-El. And so, Superman, dealing with an empty nest, is looking for balance. If the titular hero is struggling, Superman #1 excels at balance. Brian Michael Bendis and Ivan Reis do a superb job showing off both Superman and Clark Kent. In a single issue, we see Superman defeat an alien armada, punch a giant monster, and save people from a fire, all while Clark struggles to find a story that doesn’t simply scratch his own ego. These are all interwoven in a really fun way that displays Superman’s need to do right. The artwork gives Superman a majestic quality. Ivan Reis does a great job framing his panels in a way that really captures Superman’s power. There’s an image of Superman where he is surveying his work in a storm in the Atlantic Ocean, and Reis’ framing choices and Alex Sinclair’s color art leaves the reader in awe. Sinclair’s work also helps to stir emotion in the Clark Kent segments of the book. In one sequence, Clark reads alone in his bead, the golden light of the sun shining on him. The comic then cuts to a flashback between Lois and Clark in that same bed, and Sinclair gives these panels a golden hue to match the sunlight. Then when the sequence returns to Clark alone in his bed, that same ray of sun doesn’t quite have the warmth that it did, emphasizing Clark’s loneliness. Inker Joe Prado brings out a lot of detail in the issue’s line work. The use of crosshatching in Ivan Reis’s art adds layers to the shadows in a way that gives the book a little bit of a grit and realism in its visuals and it’s nice to see the way Prado is able to bring that out with his work without overwhelming the cleaner lines. If Superman #1 is about Kal-El finding himself, than the climactic sequence in the issue brings that question to the forefront, as Bendis brings in Martian Manhunter to question Superman’s role in the world. Bendis really crafts this sequence well, as Superman repeatedly leaves J’onn’s side to deal with various problems. It not only highlights Superman’s desire to put others before himself in a visible way, but it also provides a point of emphasis for J’onn’s questioning. Bendis’s voice for Superman is great throughout the issue, but is really highlighted here, as Superman’s apologies to J’onn come across as sincere without being overly earnest. Expertly crafted, Superman #1 builds on Man of Steel in a way that feels organic, but also shouldn’t put a stop to new readers jumping on the story here. Brian Michael Bendis uses flashbacks to help guide readers through Superman’s emotional decisions, and the artwork by Ivan Reis, Joe Prado, and Alex Sinclair is stellar. This is an excellent start in the next chapter of Superman. Superman #1 nicely balances the various aspects of Clark Kent's life, even as it unravels before him. Brian Michael Bendis gives both Superman and Clark voices that have a clear identity. Ivan Reis's line-art is superb and Joe Prado does a great job bringing out the details. Alex Sinclair's color art is gorgeous and adds a lot to the story. There's nothing really to complain about here. This issue is rock solid.